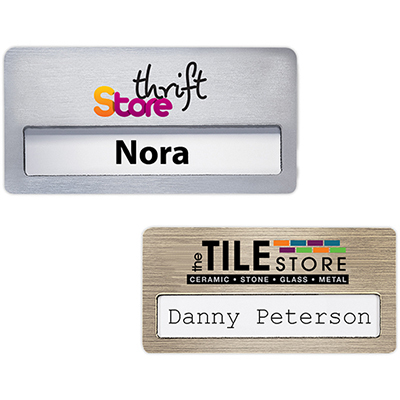 Chicago Name Badge 1 1/2" x 3"
Free 48 Hour Service...Order Today, Ships in 48 Hours! 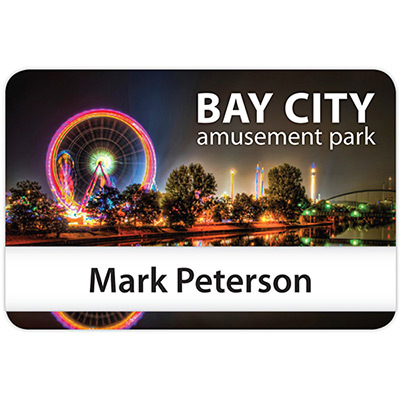 Product Size : 1 1/2" x 3"
Please the attendees at tradeshows, conferences or fundraising events with Chicago Name Badge 1 1/2" x 3" Plastic Express. 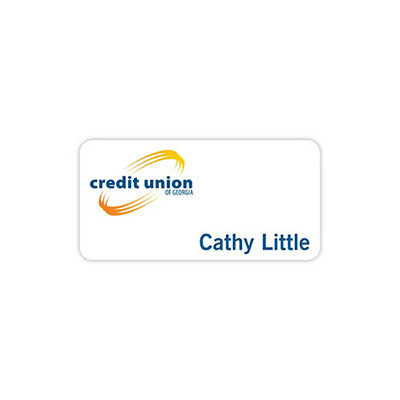 They feature a full color logo and 1 line of personalization. Additional line of personalization and attachments are available at an additional cost. You can choose from different corner styles available. 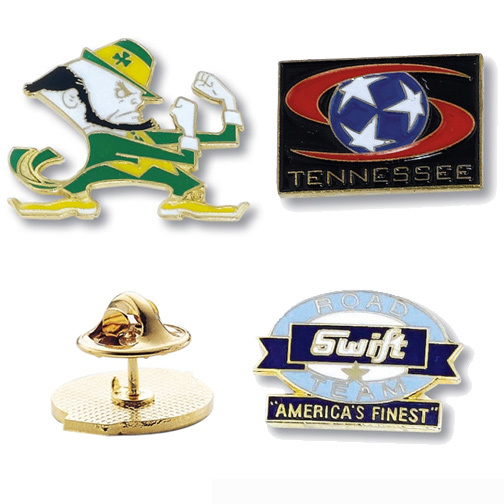 Lightweight and cost-effective, these badges can be used for years and can be kept as a keepsake. They will continue to remind your customers of your brand. So, waiting further will do no good. Place your order right away! A popular style with full color imprint! 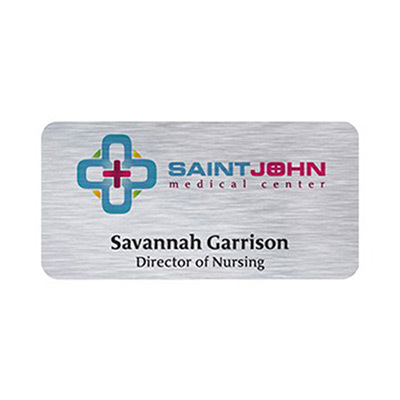 Atlanta Vogue Name Badge 3" x 1-1/2"